Attention Falmouth Residents: We're Here to Help with Your Sewer Tie-in. NO DEPOSIT REQUIRED until work begins. Call us at 508-317-5525, or contact us online. 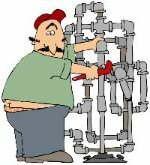 Cape Cod Sewer & Drain is a division of Cape Cod Master Plumbers, Inc. Our professional team is managed by your local master plumbers. We are fully equipped to clearn, maintain, repair or replace any drain, sewer or septic line. 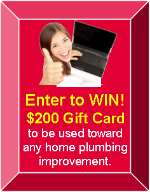 Anyone Can Buy a "Rooter" Franchise! When you have a drain problem in your home or business, you want to be sure that the company you choose is both nearby AND fully supported by your local full-service plumbing professionals. As a local company, we can offer lower prices. We pay no franchise fees. We do not support expensive national advertising programs. A proven track record with your Cape Cod & Plymouth area neighbors. The ability to repair or replace lines if necessary. The right tools for every job. The Right Tool for Every Drain for Every Clog, For Every Line Inside or Outside. Clogged or slow-moving drains are common problems for Cape Cod home and business owners. Do-it-yourself attempts are unpleasant and more often than not temporary solutions. Sometimes using a plunger, canned air or a chemical drain cleaning product can cause damage or make the problem worse. Rain downspouts and run-off pipes. Large, small and even smaller hand-held routers -- the right tool for every sized line, for every type of clog. A water-jet system to clean outside main sewer lines. Bio-Clean treatment for grease clogs. Lower Costs, Fewer Delays, No Surprises, and Less Disruption of Your Yard When We Do Have to Dig. If your main sewer does need repair, Cape Cod Sewer and Drain's sewer line video inspections allow us to pinpoint the exact nature and location of the problem. We then will give you a guaranteed up-front price before we start to dig. My team and I are committed to providing our Cape Cod neighbors with the highest quality of service and the best possible price. After all, aren't drain problems stressful enough without having to deal with more headaches from your contractor. Thanks to the entire Cape Cod Master Plumbers team for their "super" efforts.